A Community of Christ World Conference session. If you’re not familiar with the RLDS (the Reorganized Church of Jesus Christ of Latter Day Saints, who officially changed their name to Community of Christ (CoC) in 2001) they share a common history with Mormons – that is, the Church of Jesus Christ of Latter-day Saints. After Joseph Smith’s death in 1844, when Brigham Young led the majority of the group to Salt Lake City, a small group (including Emma Smith, Joseph’s widow) stayed in the Midwest. When their oldest son (Joseph Smith III) I reached adulthood, he was ordained Prophet-President (1860). Hence those in the Independence, Missouri headquartered RLDS/CoC are known by those in Mormon Studies as “Josephites” as opposed to the better known “Brighamites” in the LDS Church that’s headquartered in Salt Lake City, Utah. I left this church in 2001, so my response is based on my research and experience at that time. My and my husband’s departure came after we came to a saving knowledge of the biblical Christ in 1997. We started attending BSF (Bible Study Fellowship) and came to understand the biblical definition of salvation (which was not taught in the RLDS church.) We learned that we were all sinners and that without accepting the salvation paid for by Jesus’ death on the cross, we would not be forgiven of our sins but God, and would go to hell. We both (separately) admitted to God that we were sinners and asked for his forgiveness, and acknowledged that surrender to God through Jesus was the only way to Heaven. We made the decision to stay in “the [RLDS] Church” at that time, with the hope that we could influence others for Christ. It was only after a friend gave me copies of “Part Way to Utah: The Forgotten Mormons” by Paul Trask and “Reorganized Latter Day Saints Church: Is It Christian?” by Carol Hansen that we realized what an aberrant foundation the church had, and made the decision that it was time to leave ourselves. In the CoC, it’s less an issue of “keeping secrets” and more of a refusal to face/actively repudiate the non-biblical foundations of the Church. 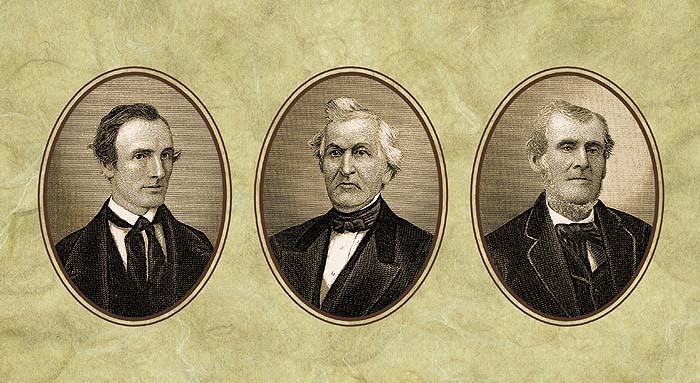 The RLDS/CoC also has minimal connection to the Masonic roots that Smith established in Nauvoo. They also minimize any discussion of what the “Urim and Thummim” actually were. There is no discussion of the Book of Abraham. I had never heard of it until I started researching church history! Rather than a “quad”, we used the 3-in-1: the Inspired Version (Joseph Smith’s altered version of the Bible also known as The Joseph Smith Translation of the Bible or “JST”), the Book of Mormon, and the Doctrine and Covenants (both are slightly different from the Mormon versions). This was one of the biggest obstacles to leaving the Church! On my side, I was 7th generation RLDS on my mother’s side, 3rd on my dad’s. Both of my grandfathers converted to “the Restoration” after being a Methodist (maternal grandfather) and Baptist (paternal) minister. My husband’s family went back 6 generations on one side. Most of our family were RLDS, as were most of our friends. 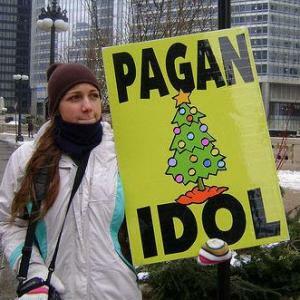 (My brother had converted to Catholicism, but that was excused in my family because “he had to for his wife.” My sister was actively participating in New Age worship and studying as a Native American shaman.) My leaving the RLDS church was a much bigger deal—family members were devastated by our decision, and our closest friends disfellowshipped us. While many of our former church “family” tried to be understanding and invited us to “worship with us anyway,” we felt compelled to get ourselves and our young kids into a Bible-based church. The RLDS/CoC is filled with many nice people — that’s probably why we stayed as long as we did! Like the rest of society, It also has its share of very evil people. They are sinners who don’t know God’s redeeming love and grace. While I was never told not to read anything, I know that books that were more Biblical were disparaged as “closed-minded”. There is a strong trend towards mainline theologically liberal Christianity, so anything that supported that viewpoint was talked up. Theologically conservative Christianity tends to be viewed as closed-minded, backward and runs counter to the spirit of the Restoration. I love the irony that what drove us toward attending BSF was a comment from then-prophet/president Grant McMurray at World Conference. He told the audience that as a faith, the Community of Christ was scripturally illiterate, and we should get into our scriptures more. I don’t think he intended for us to have our eyes opened by the Bible and leave the church, though! I can’t speak to this, as it wasn’t really an issue when we left. (We didn’t even have smartphones back then and the Worldwide Web was just coming of age). Members do tend to smile blankly when you try to tell them why this isn’t a biblical church, though. 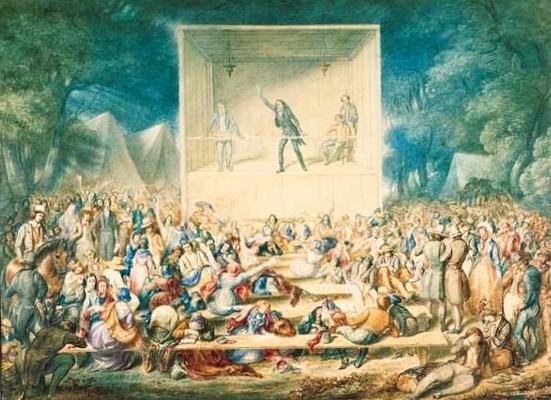 It’s not that we were labeled as liars or “anti” — it’s just that there’s such a cultural and historical sense that this is the “one true church” and that they alone are entrusted with the truth that Joseph Smith restored to the earth that they can’t fathom what we’re telling them about the Bible and Jesus! My mother-in-law came to me at one point to “bear her testimony that this was the Truth” and she left in tears that we were taking her grandchildren away from “the Restoration”. To her credit, she did come to our baptism service a few years later, when our whole family was baptized (my parents refused), but she didn’t like it. There’s some truth to this: the “First Presidency” and the “Apostles” (really, anyone who works for the “World Church”) are looked up to and treated reverentially. In our case, we count it as one of God’s great blessings that He brought us to saving faith at the same time, and to the decision to leave the Church together. In God’s great humor and timing, the BSF study where we both came to salvation (separately) was on the Acts of the Apostles. When I questioned her about what God really meant about “wives submitting to their husbands,” she challenged me to pray that week and ask God to show me what He meant. That was the week our marriage changed – and for the better, I might add! As I said before, our closest friends severed relationships with us. I was doing a book study with my two best friends at the time. We had raised our babies together and seen one of us through the loss of a husband to cancer, widowhood, and marriage to a new guy. I thought we would be friends forever. They told me that they couldn’t continue being friends with me if this is how I really felt about the Restoration. Steve Hassan is considered one of the leading experts on cults and mind control. He is involved with the Freedom of Mind Resource Center to help those concerned with cults and dangerous organizations. Hassan appeared on CNN in the days following the airing of “Going Clear” to discuss the documentary on Scientology. Steve Hassan was invited to speak at an ex-Mormon conference in 2008 and gave his perspective being a former Moonie and now a cult expert. Here is the YouTube video of Steve’s presentation. I personally attended the presentation and very much enjoyed it. I do remember someone asking at the end if he thought Mormonism was a cult. Steve did not reply with a yes or no but said, “If it looks like a duck, walks like a duck and quacks like a duck—it’s a duck”. So friends, if the RLDS/CoC looks like a duck, walks like a duck and quacks like a duck—it’s a duck. Leaving the CoC required a willingness to walk away from everything we knew and trust God to provide. I will always be said that I lost relationships, but 17 years down the road, we can both say that God has replaced what the locusts have eaten. Things settled down with my husband’s family, and we have good relationships with them now (although we don’t talk about religion or our church experiences — ever!). I’ve been able to witness to my sister, and I think she is almost “there” in terms of surrendering to God! My kids (19 & 24) are currently both in a slightly spiritually rebellious time in their young adulthood — knowing God but not willing to walk with Him at this time (although my daughter has started attending the young adult ministry at our church on occasion.) We have surrendered that to God and are their most dedicated prayer warriors. We are in a strong biblical church, serving and growing. We’d do it all again in a heartbeat. The RLDS/CoC is probably described accurately as “Mormonism Lite”. If Mormonism is 180-degrees off from biblical teaching (Temple ordinances, Law of Eternal Progression, belief in false scripture & priesthood, etc. ), CoC is maybe only 45-degrees off (false priesthood, false scriptures, refusing to accept the Bible as authoritative, false claims of modern-day revelation, etc. They also ordain women to the priesthood— still a distinction between them and Mormons and much of mainstream Christianity.) Either way, neither of them lead people to a saving relationship with God through the sacrifice of Jesus. The failure to see the need for personal salvation and the attitude of “tolerating” everything as many of the liberal Christian churches do keep them from seeing God’s plan for them. If this brief article has whet your appetite and you want to learn more about the RLDS/CoC, I’d suggest checking out Refiner’s Fire Ministries website at http://help4rlds.com/. My friend Paul Trask has been a mentor to me through this process, and I will always be grateful for his willingness to just tell the truth. If you have questions about what I’ve written, I’d be happy to try to answer. This is just my experience, but through it, I came to know my Savior! 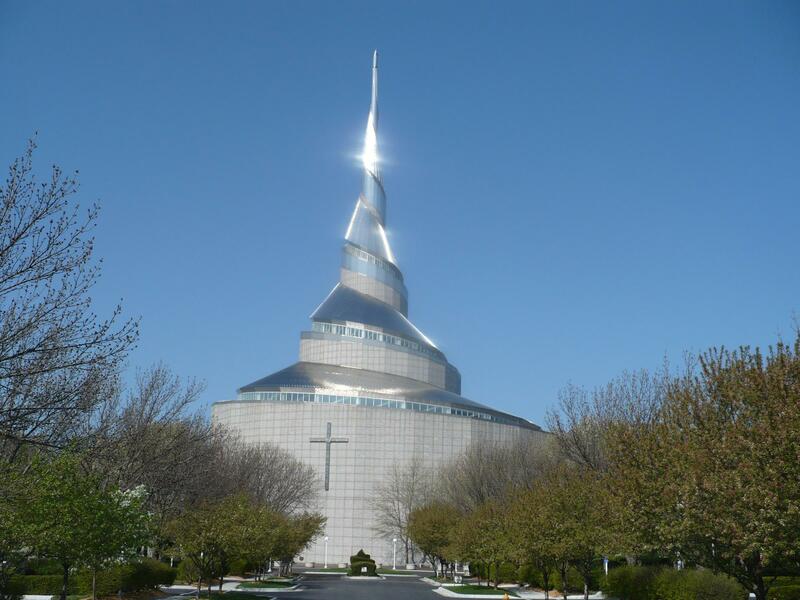 The Community of Christ Temple in Independence, Missouri. The Community of Christ is both Trinitarian and doesn’t eschew the cross – two things that distance it from Brighamite, LdS Mormonism.